Seeing a leopard is always such a privilege – there is a saying in Africa that you only see a leopard if it allows you to. Conversely, if it does not want to be seen, you will not see it ! So it is always an added bonus when you see more than one. This is usually a mother and her offspring, which become independent within two years. Because of their solitary nature, male and female adults associate only long enough to mate and I can count the number of times I have witnessed this on my fingers. I say “witnessed” but more accurately should say heard, or had brief glimpses of. 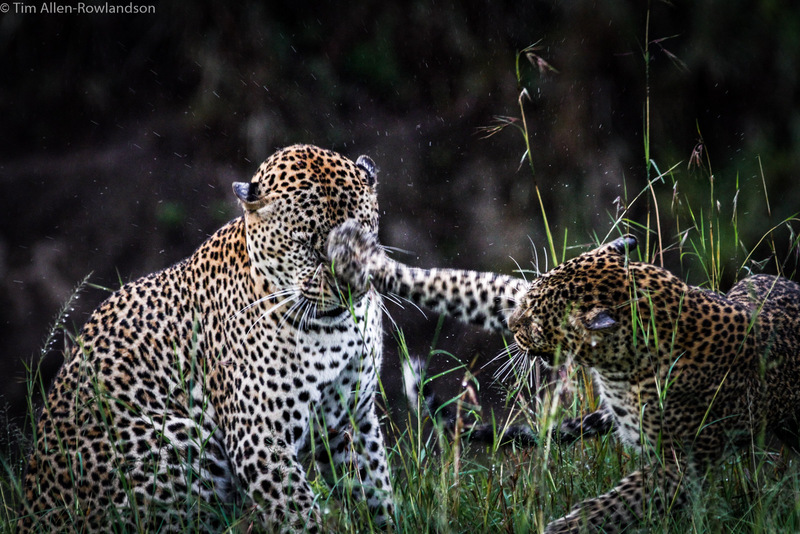 Like lions, copulating leopards are very vocal but often mate in the seclusion of thick cover. 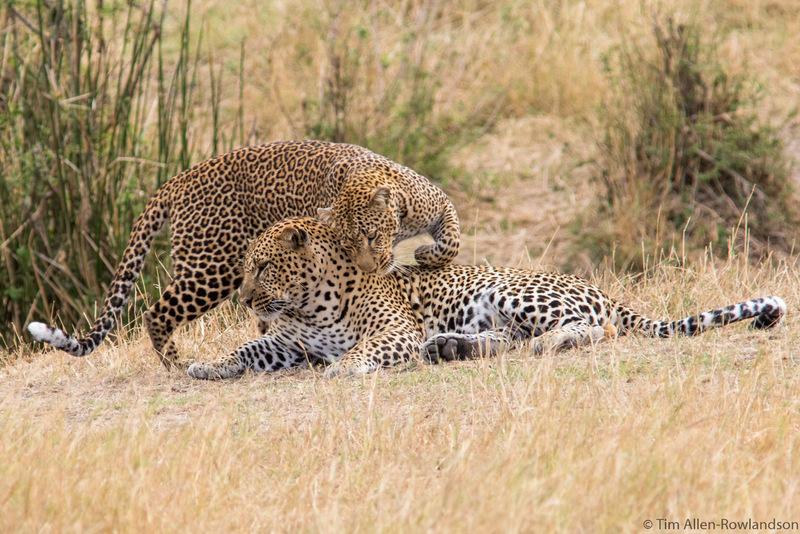 But occasionally this relatively rare act takes place out in the open, as I observed recently in the Masai Mara. 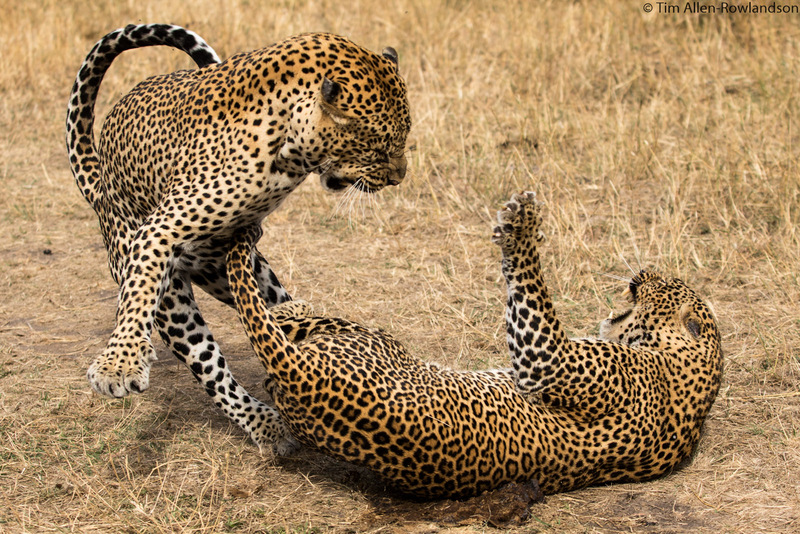 Female leopard initiating mating, Masai Mara. 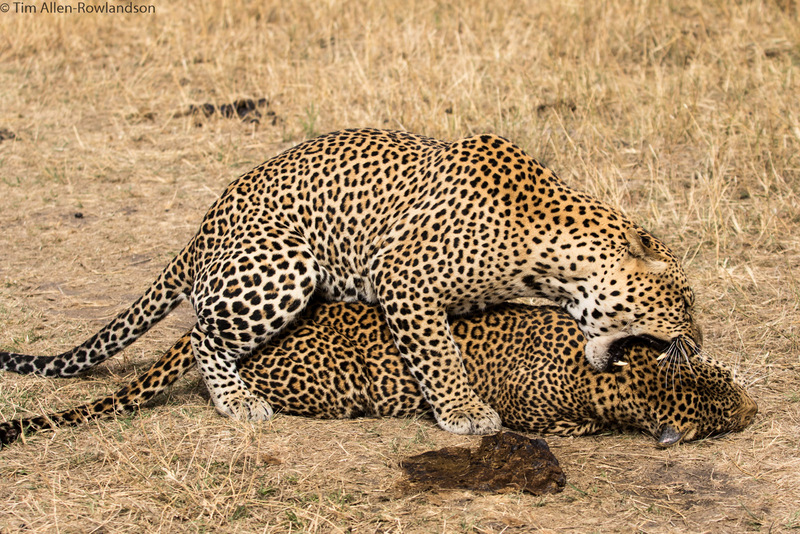 Leopard behaviour during estrus is typically feline. However, because of their preference for thick cover, this activity is often heard rather than seen. 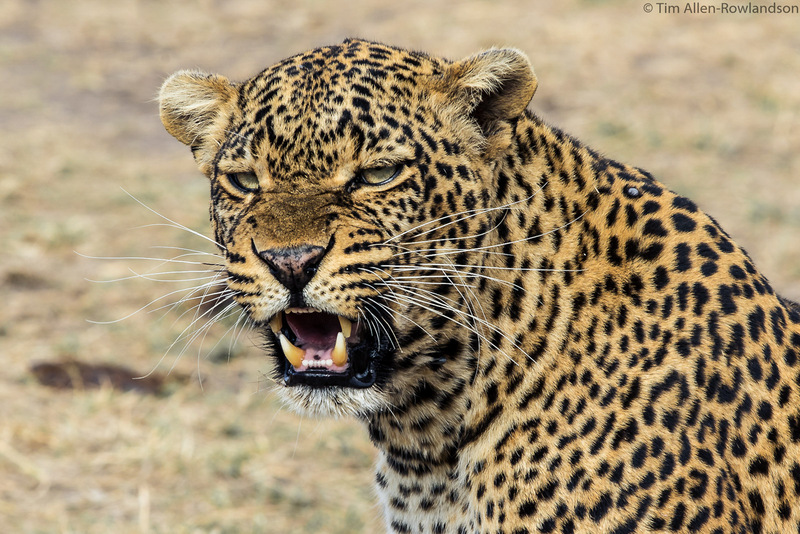 Female leopard snarling at her mate as she is not yet ready to couple again. The interval between mating is usually 15-20 minutes, prolonged over a period of 4-5 days. Spectacular imagery and experience!! Congrats and huge thanks for sharing!